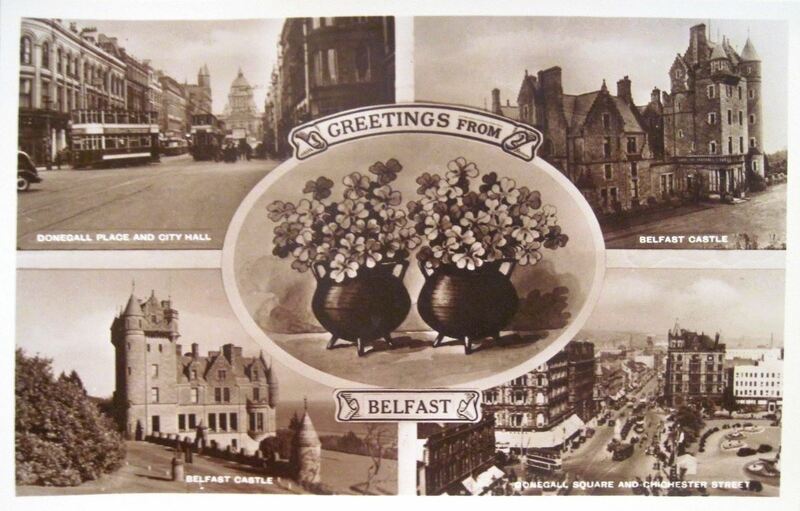 Un-numbered cards first in each category and all in alphabetical order by location. 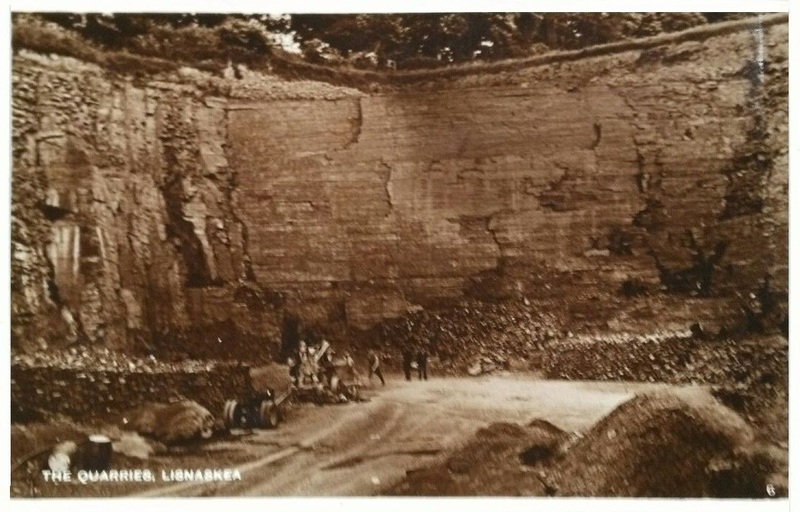 – Updated 21/2/2019. 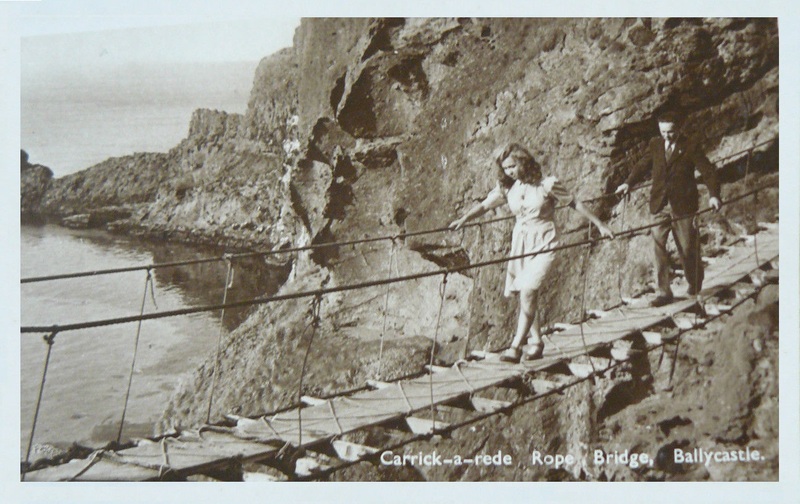 Carrick-a-rede Rope Bridge, Ballycastle – unnumbered. 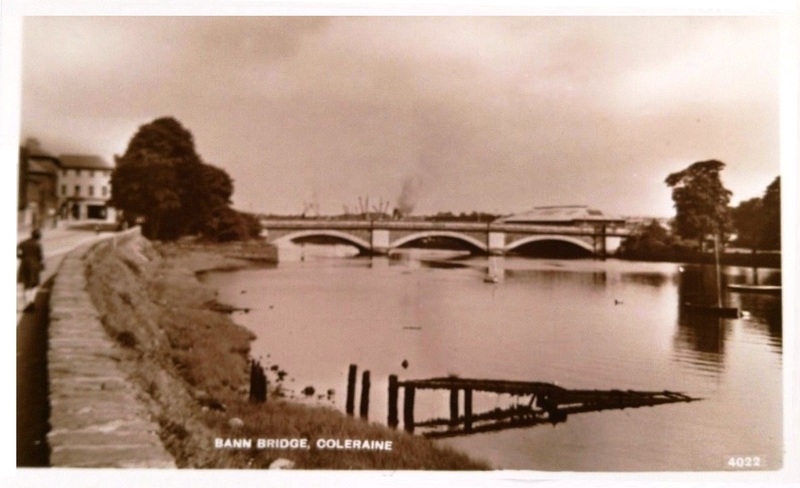 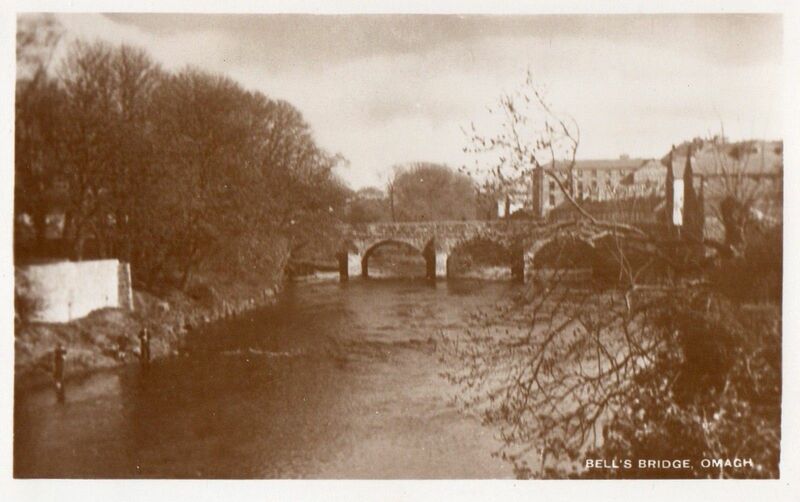 Margy Bridge, Ballycastle – unnumbered. 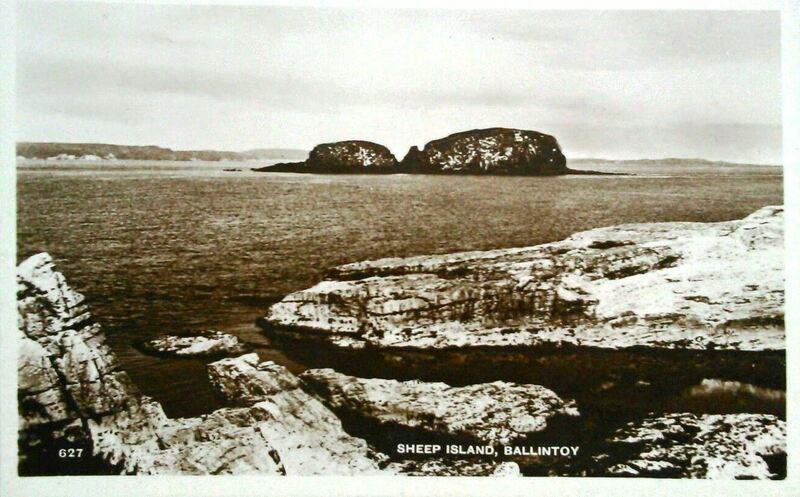 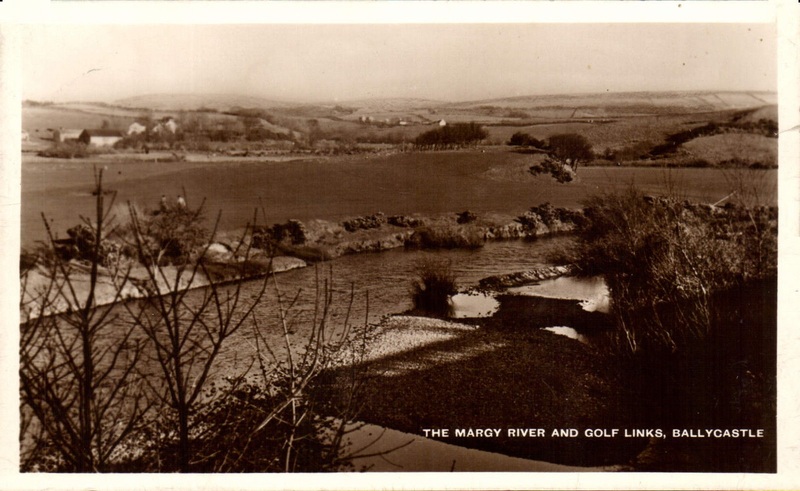 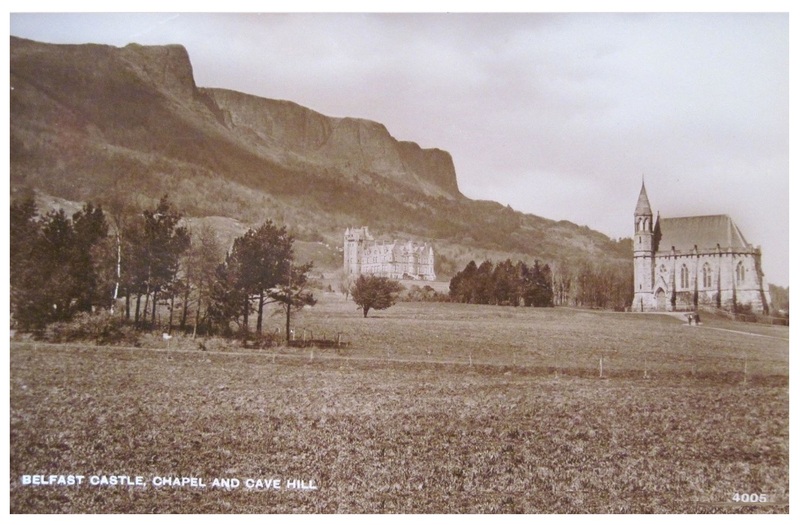 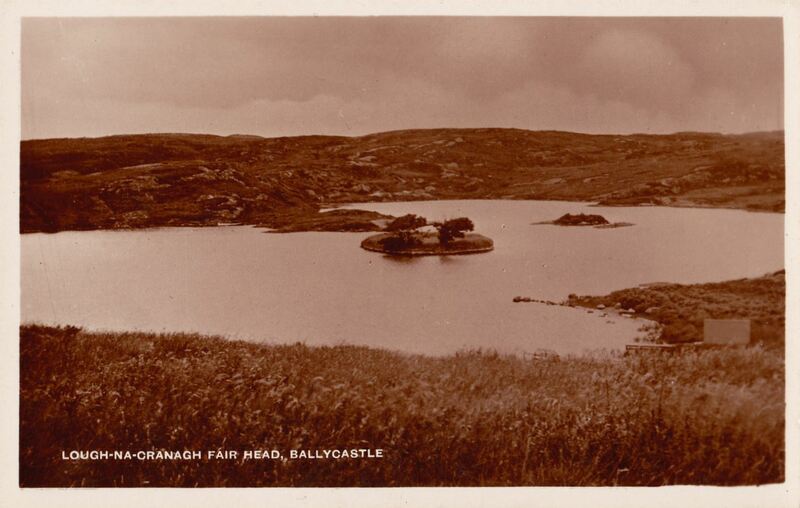 The Margy River and Golf Links, Ballycastle – SP Co.
Lough-na-Cranagh, Fair Head, Ballycastle – SP Co. – Possibly 411. 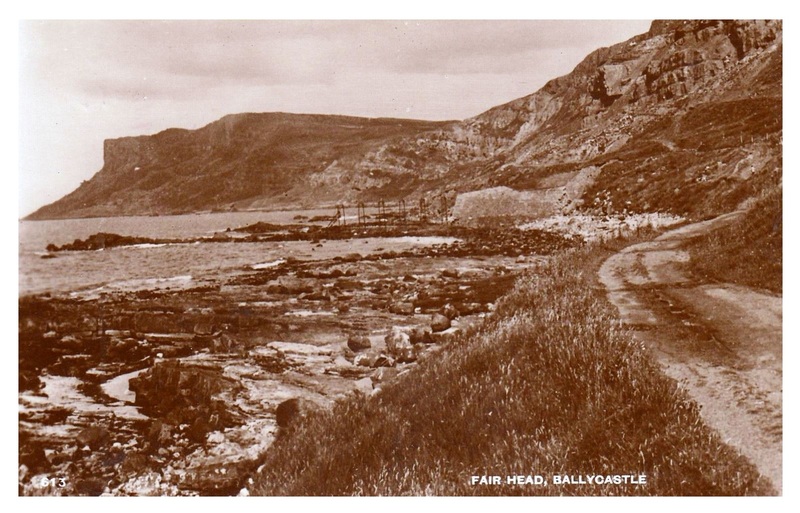 567 The Strand and Fair Head, Ballycastle – SP Co.
613 Fair Head, Ballycastle. 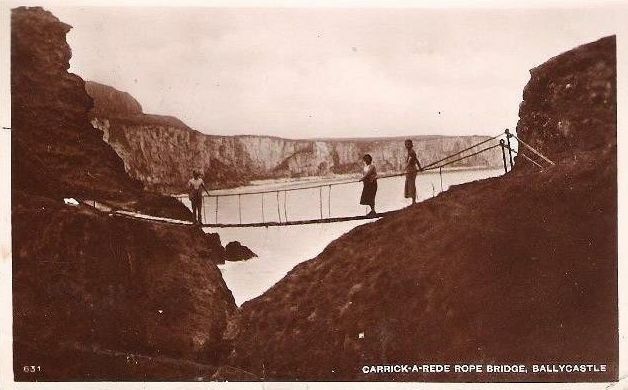 SP Co.
631 Carrick-a-Rede Rope Bridge, Ballycastle – SP Co.
Greetings from Belfast. 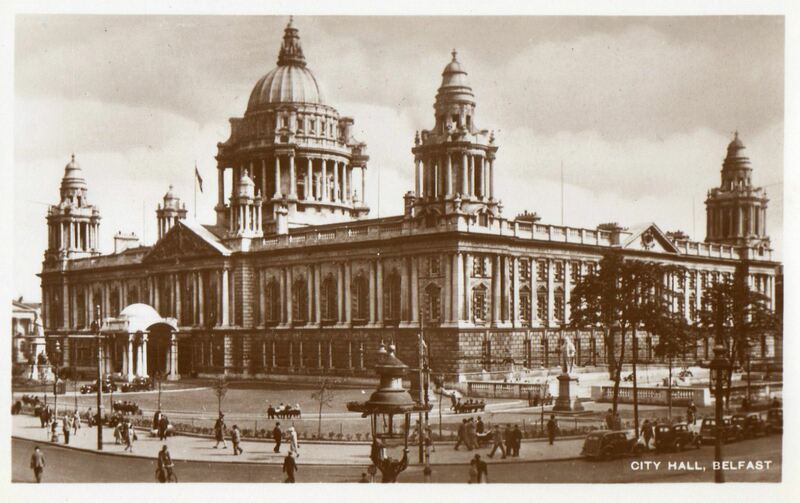 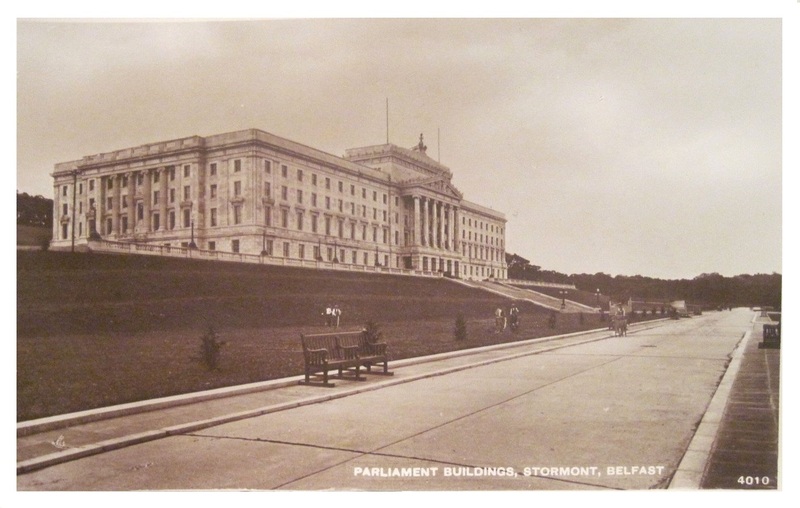 Multiview – SP Co.
City Hall, Belfast – unnumbered. 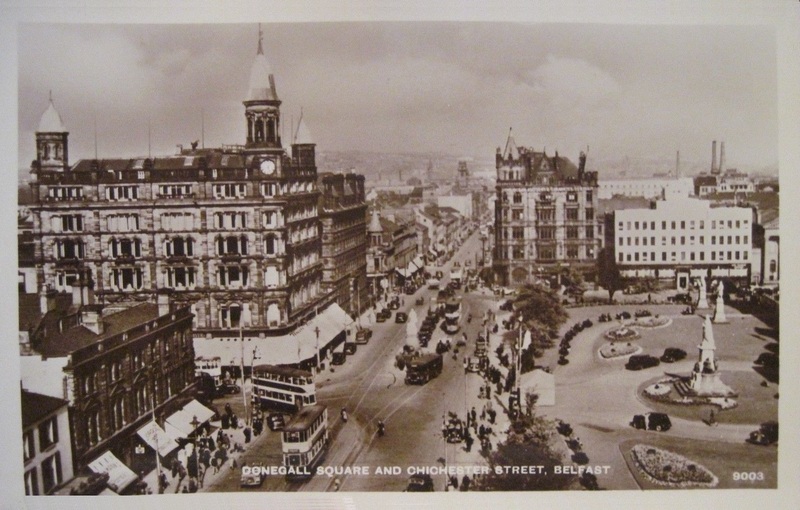 Donegall Place, Belfast – unnumbered. 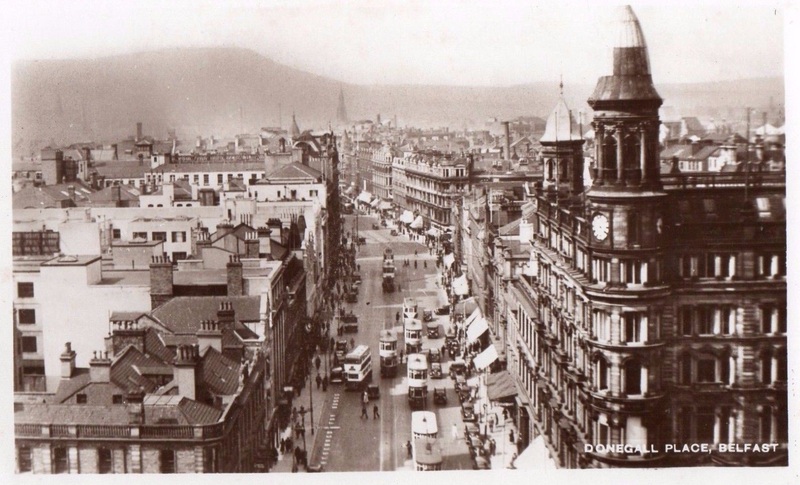 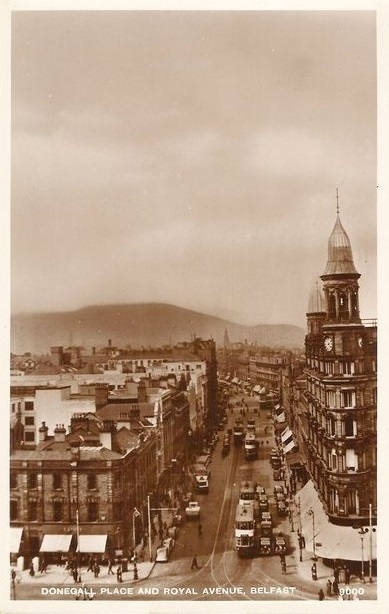 High Street, Belfast – unnumbered – Scholastic. 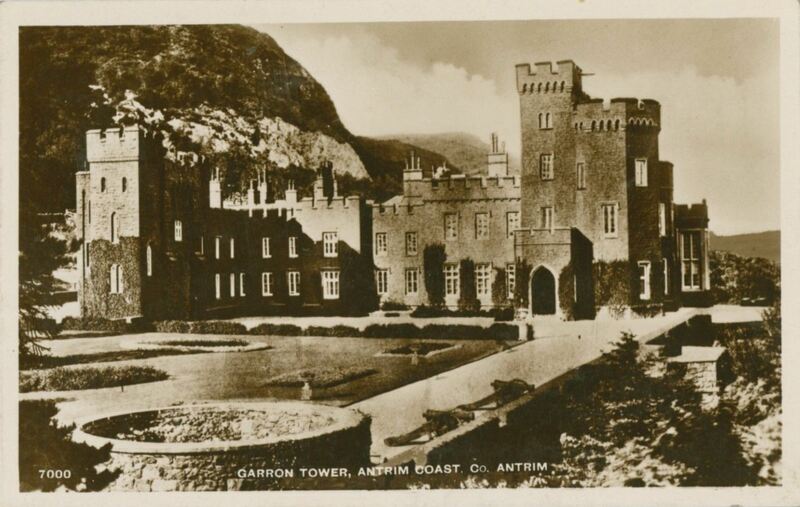 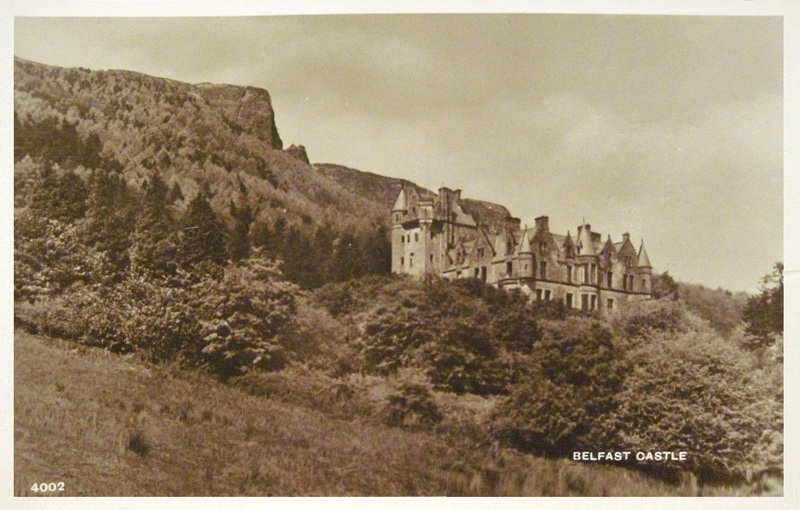 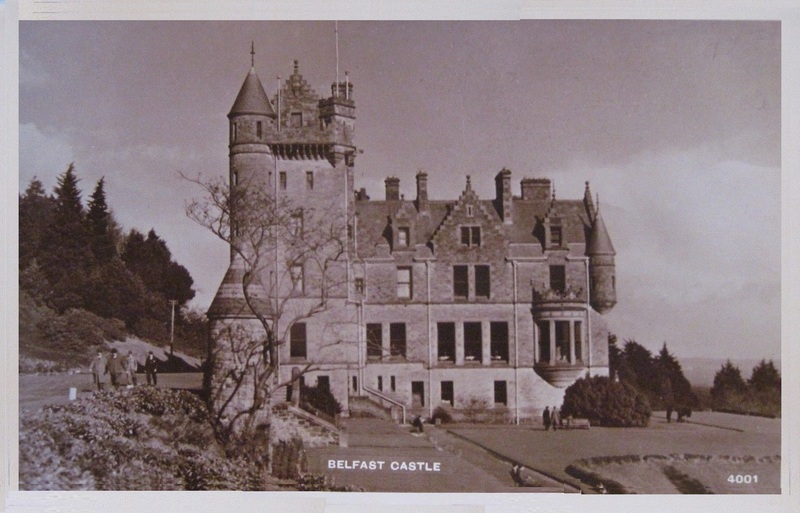 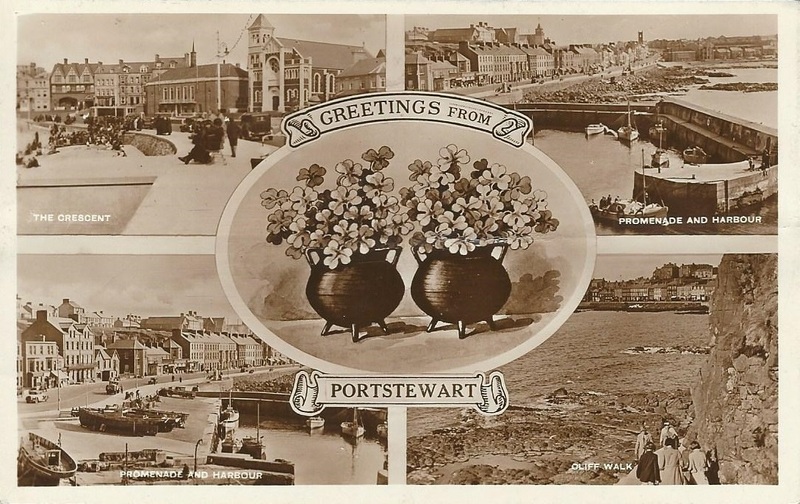 4002 Belfast Castle – SP Co.
4005 Belfast Castle, Chapel and Cave Hill – SP Co.
9003 Donegall Square & Chichester Street, Belfast – SP Co.
7000 Garron Tower, Antrim Coast, Co.Antrim – SP Co.
7280 The Harbour, Carrickfergus – SP Co.
Cushendall Beach and the Bay. 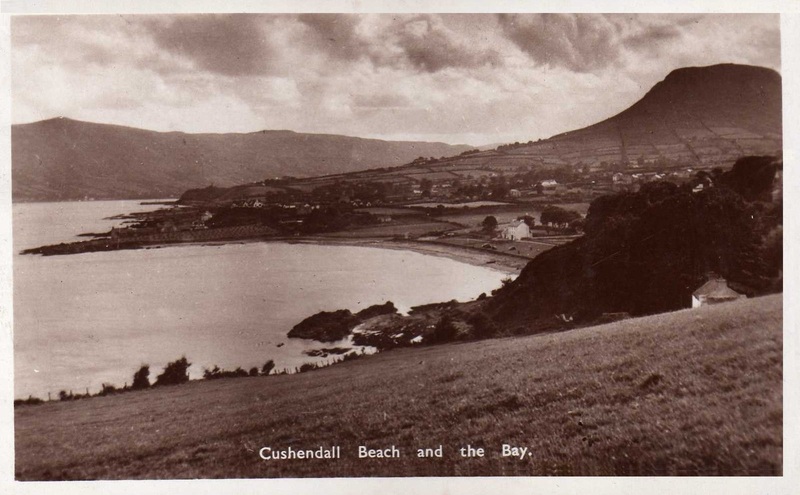 The Hotels, Cushendun – unnumbered. 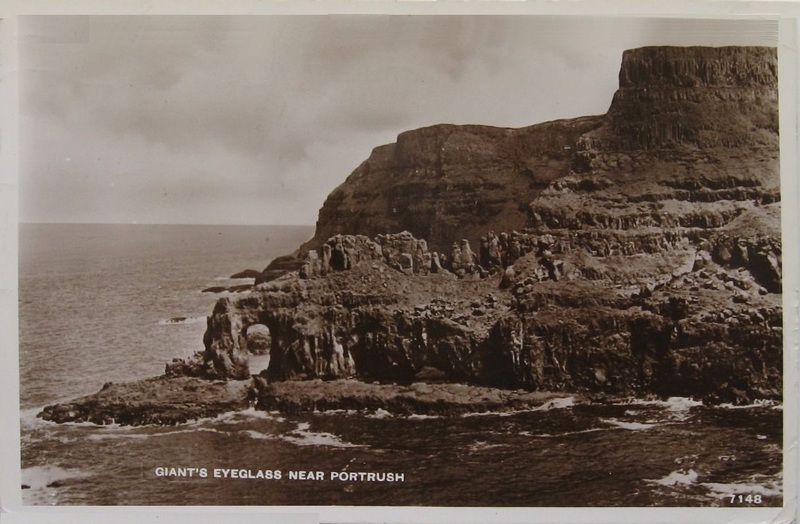 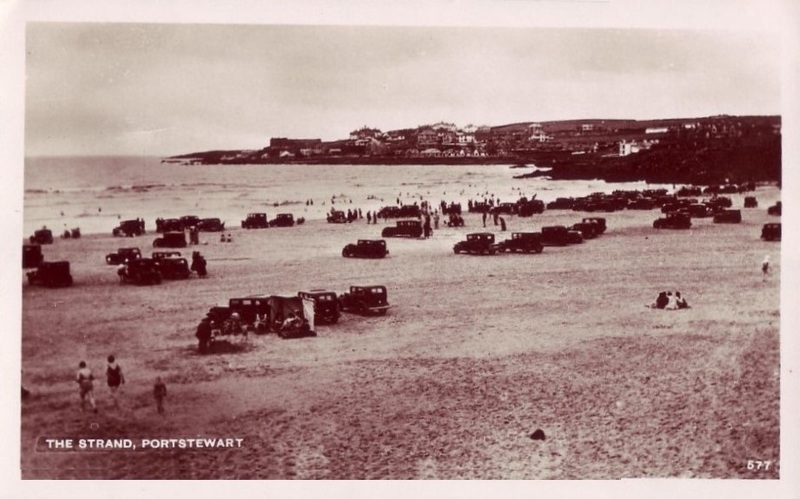 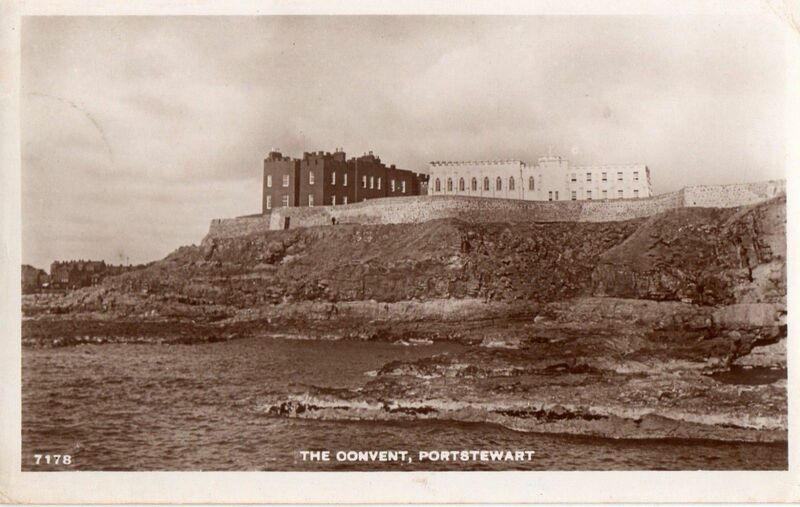 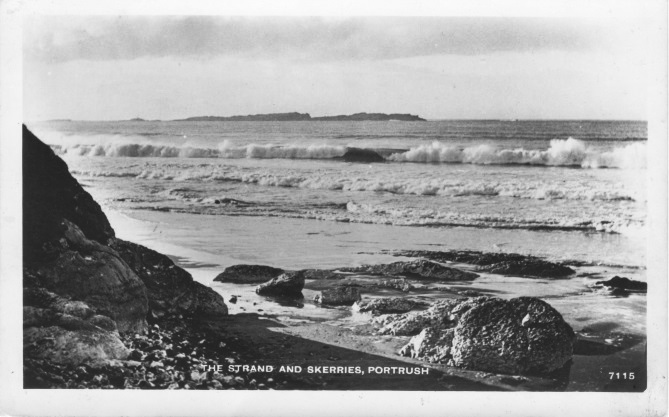 7148 Giant’s Eyeglass near Portrush – SP Co.
Ardglass from Pier – unnumbered. 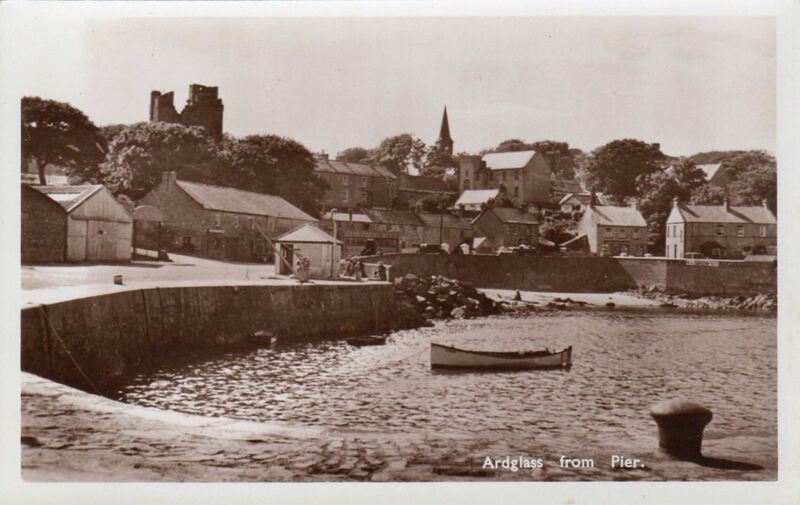 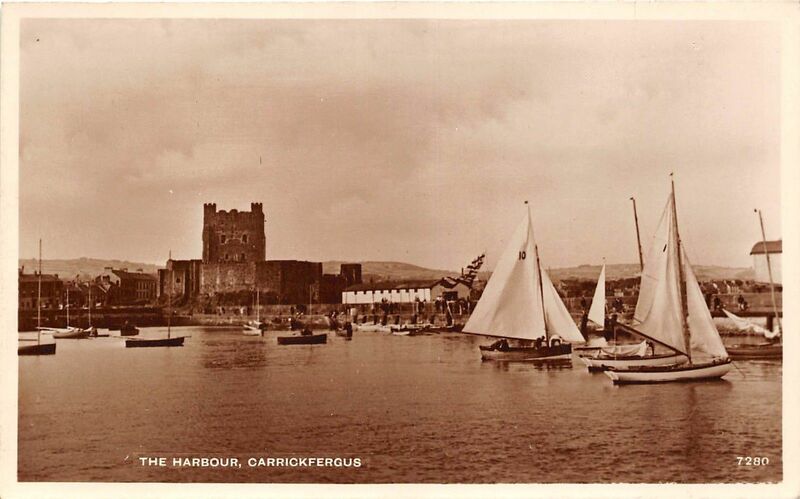 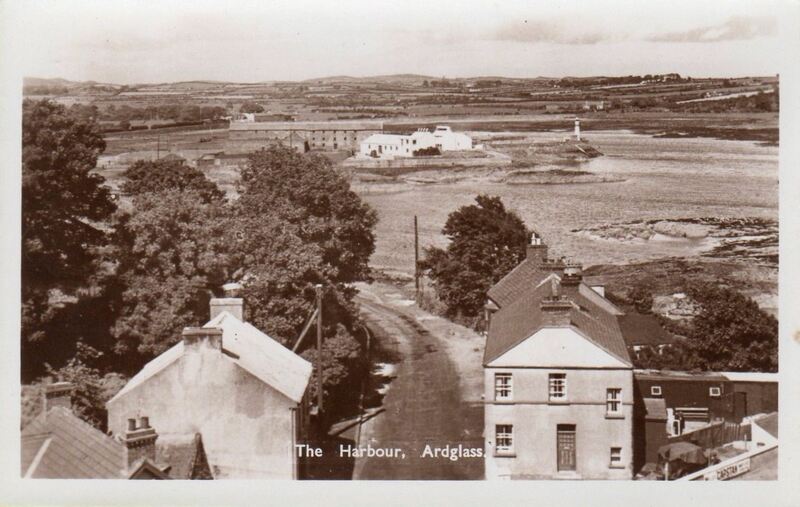 The Harbour Ardglass – unnumbered. 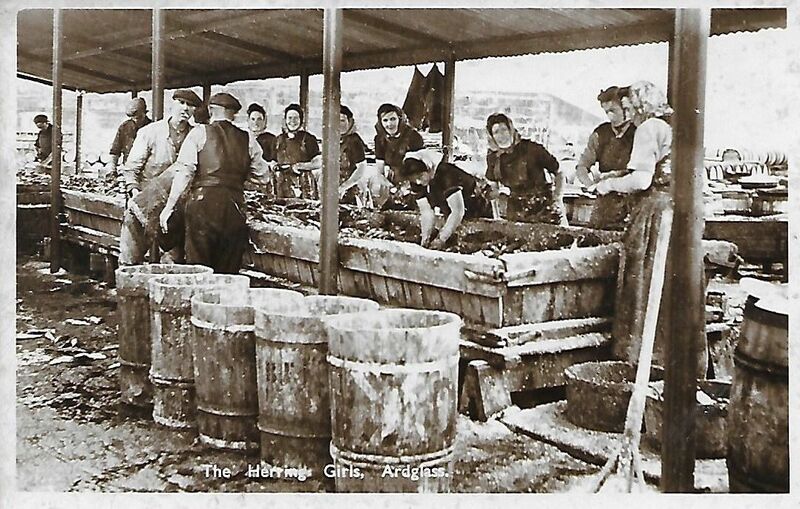 The Herring girls, Ardglass – unnumbered. 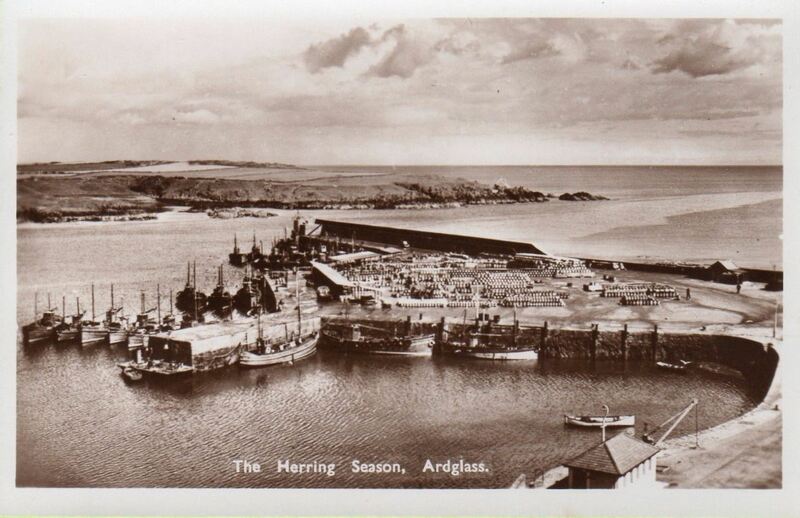 The Herring Season, Ardglass – unnumbered. 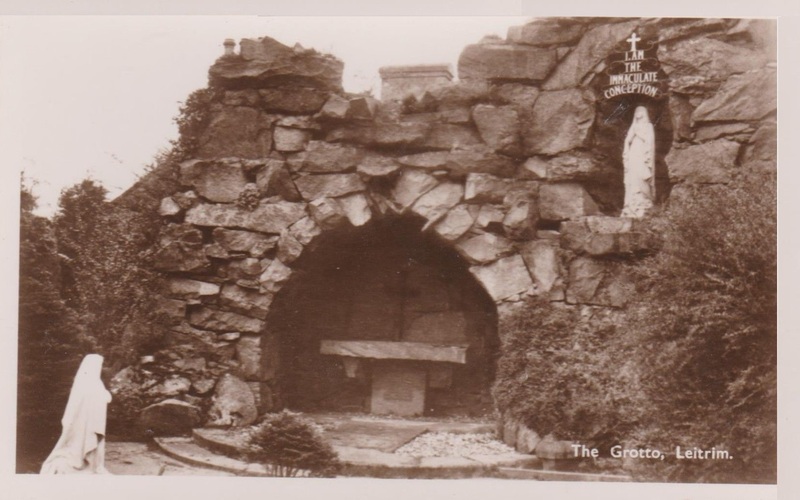 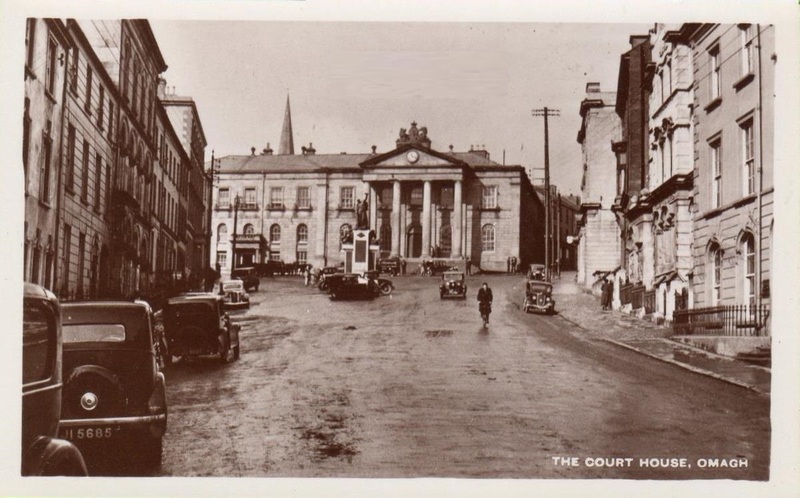 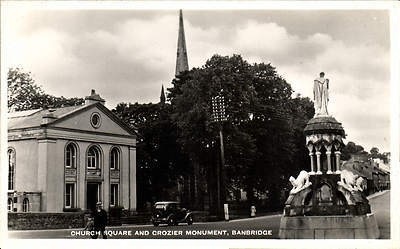 Church Square and Crozier Monument, Banbridge – SP Co. – unnumbered. 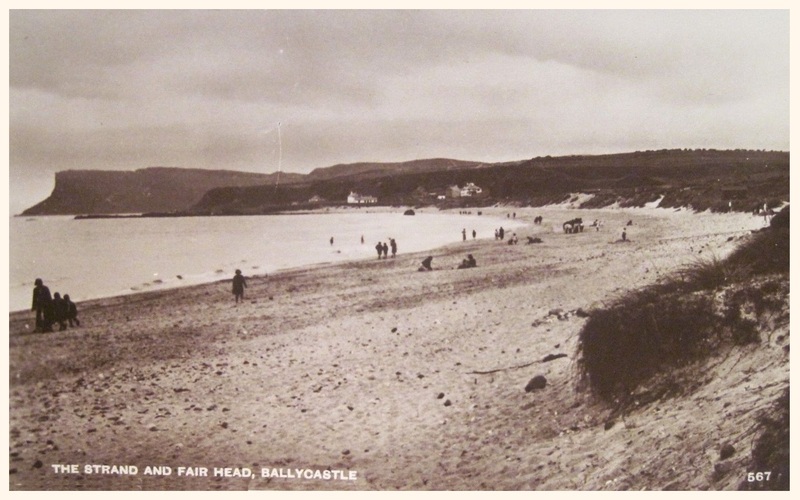 Ballyholme, Bangor, Co.Down – Scholastic…number begins with 7. 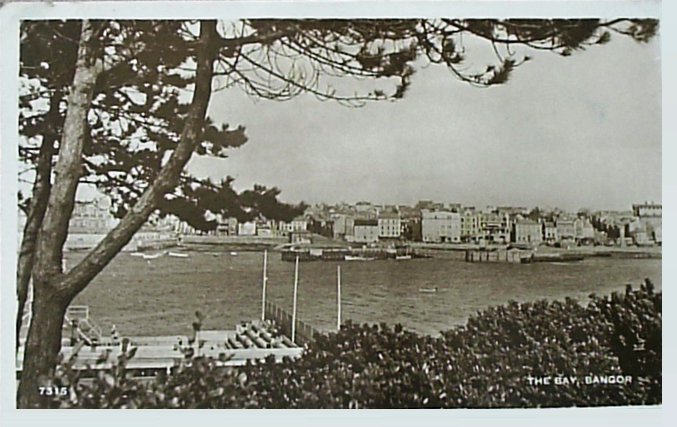 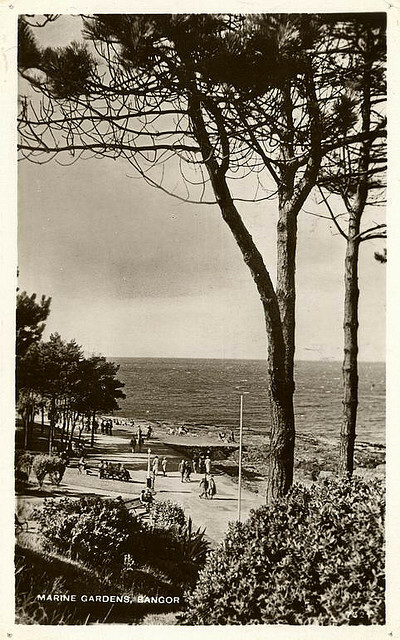 Marine Gardens, Bangor – unnumbered. 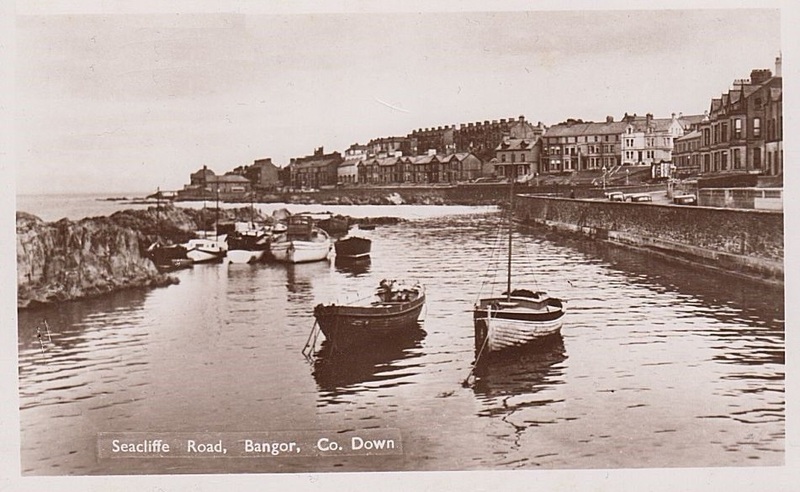 Seacliffe Road, Bangor, Co.Down – unnumbered – Scholastic. 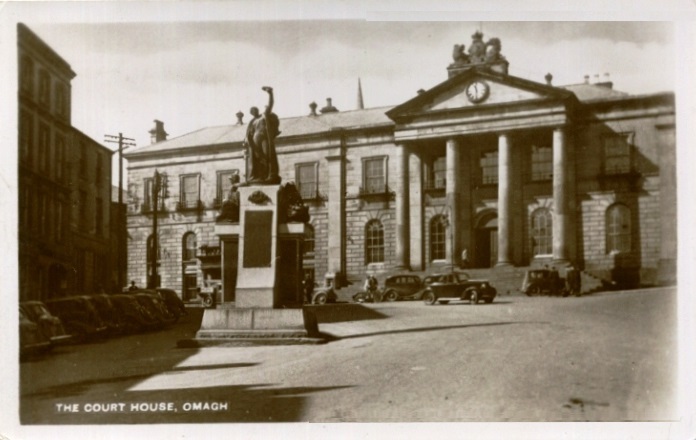 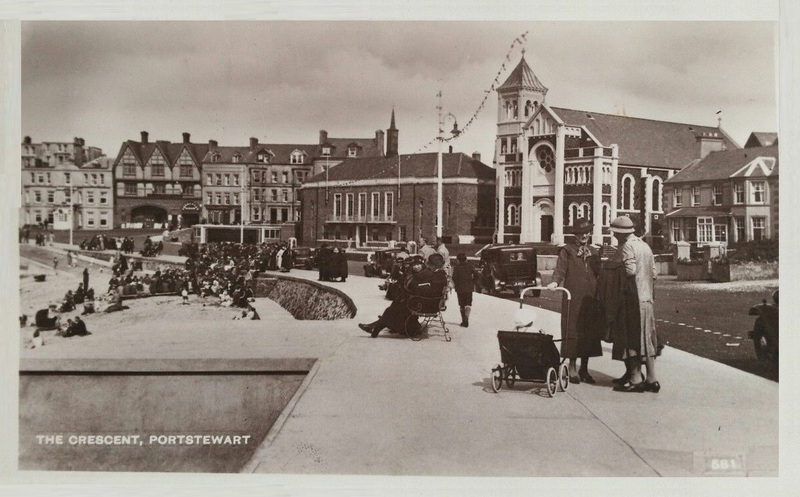 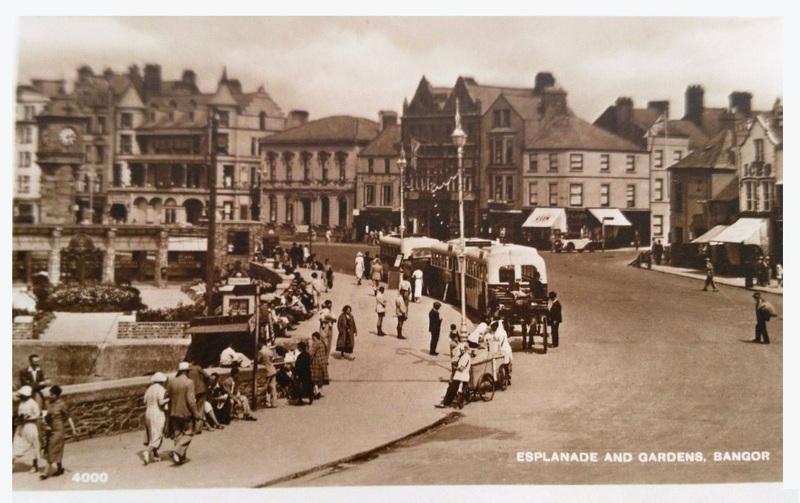 Queen’s Parade, Bangor, Co.Down – unnumbered – Scholastic. 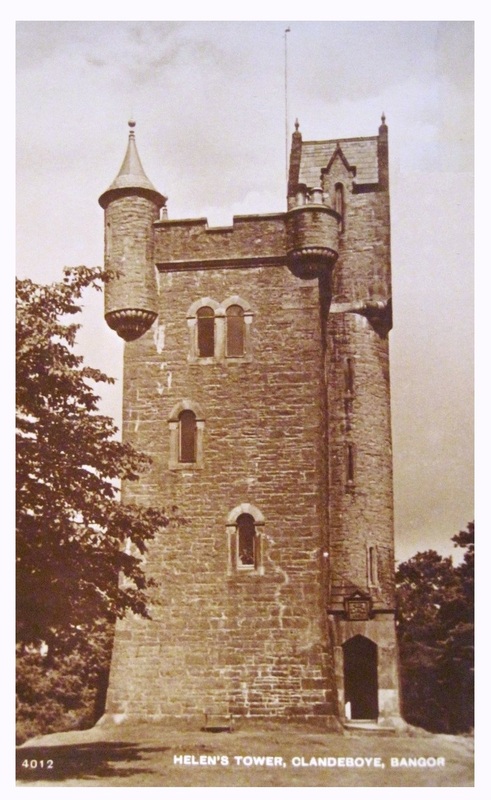 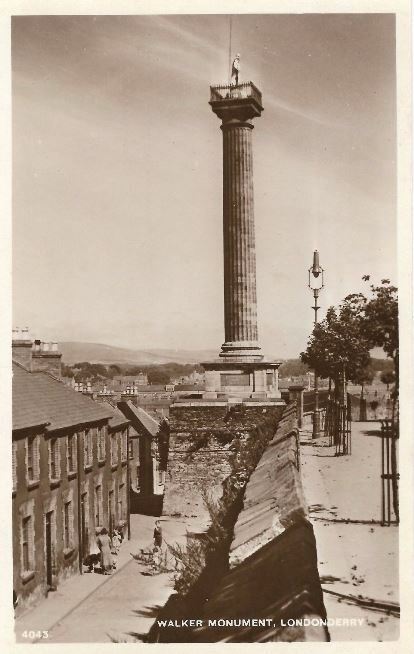 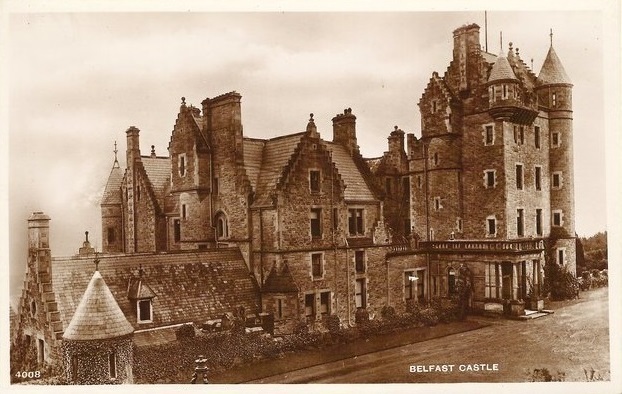 4000 Esplanade and Gardens, Bangor – SP Co.
4012 Helen’s Tower, Clandeboye, Bangor. 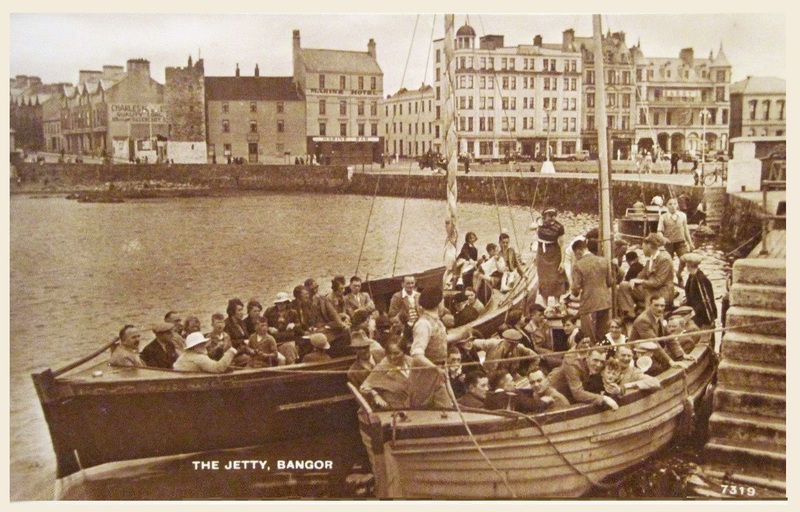 7315 The Bay, Bangor – SP Co.
7319 The Jetty, Bangor – SP Co.
Main Street, Castlewellan – unnumbered by Scholastic Production. 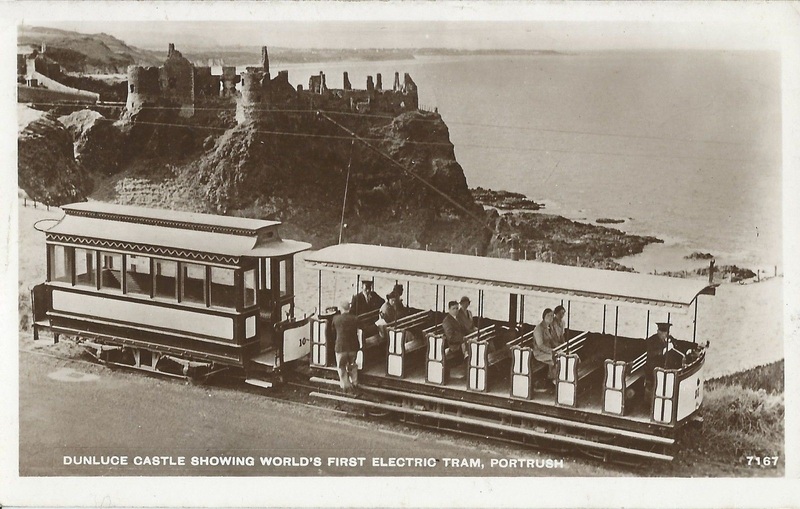 Sold on eBay – 20/2/2019 for £29.99. 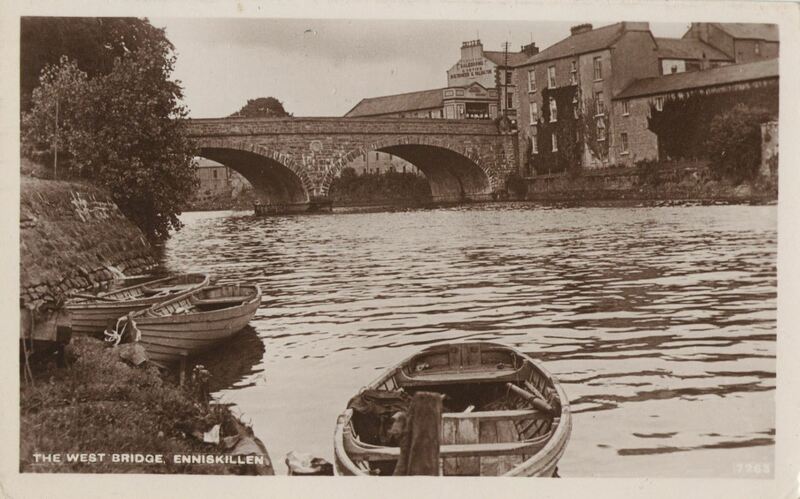 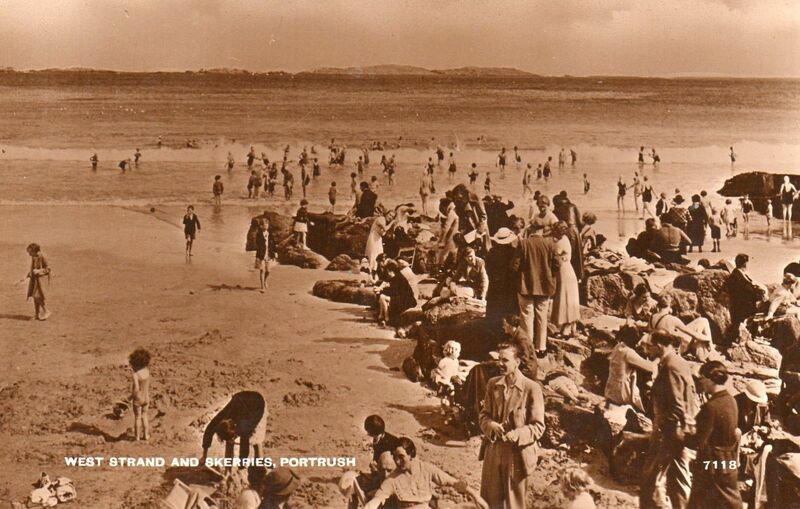 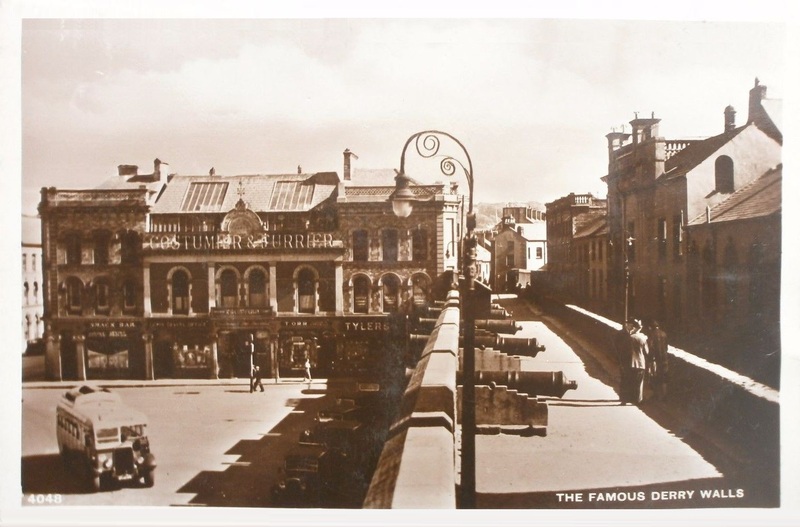 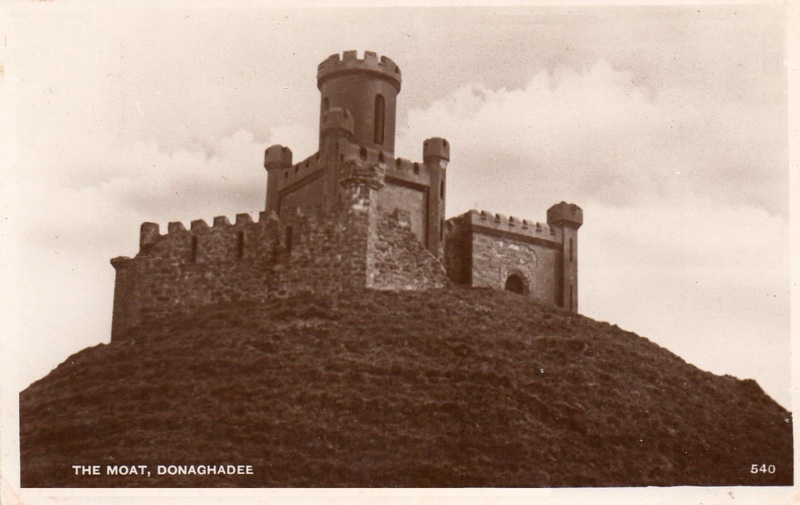 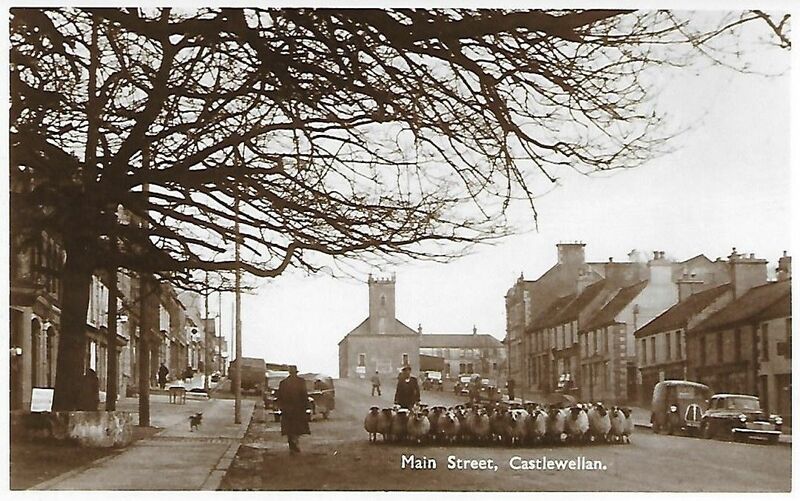 540 The Moat, Donaghadee – SP Co. postally used 1936. 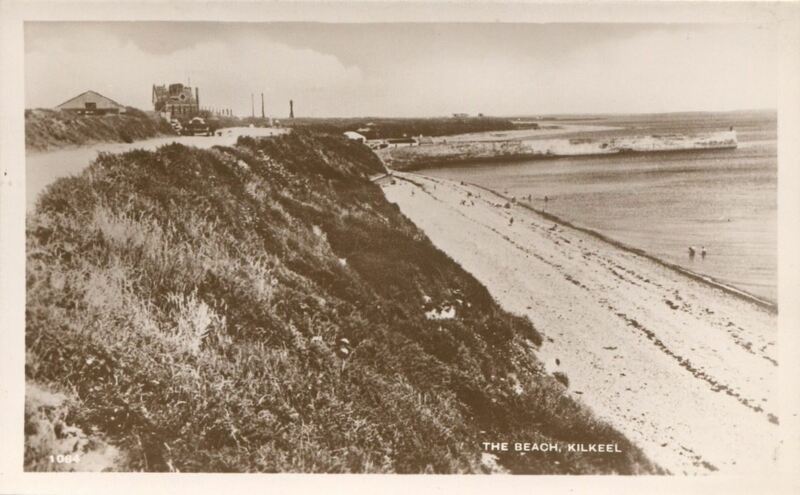 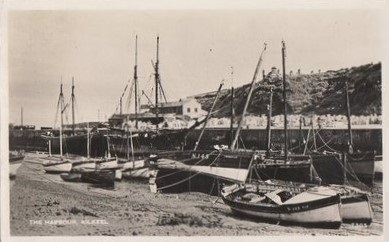 The Harbour, Kilkeel – SP Co. – possibly 1303? 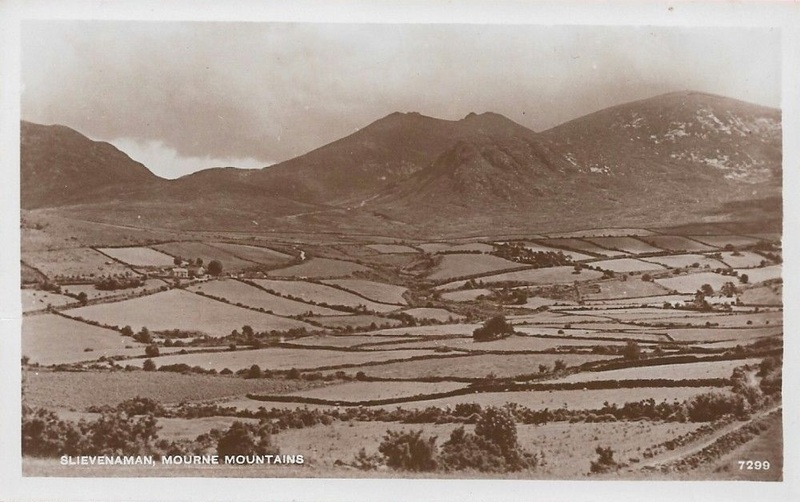 Mourne Mountains, Kilkeel – unnumbered. 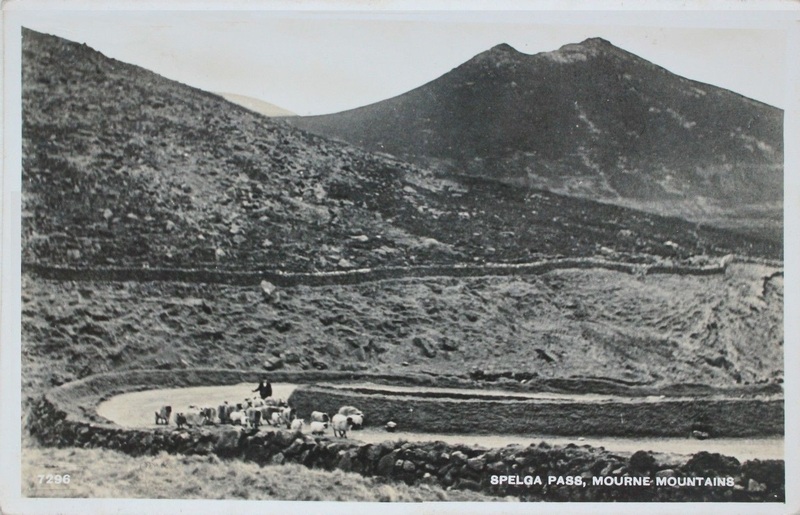 7296 Spelga Pass, Mourne Mountains – SP Co.
Postally used 1938 – sold on eBay 8/2018 for £60! 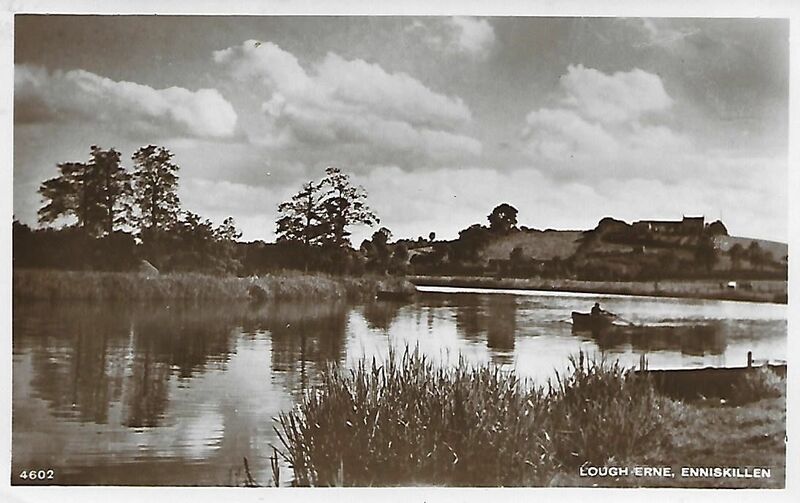 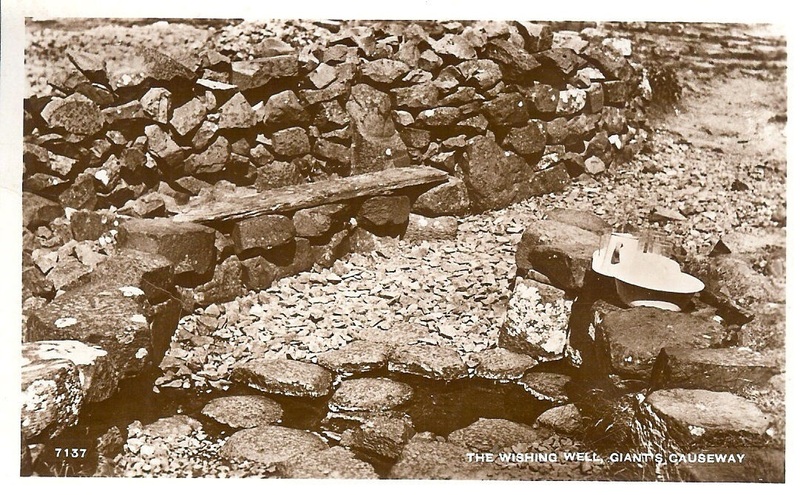 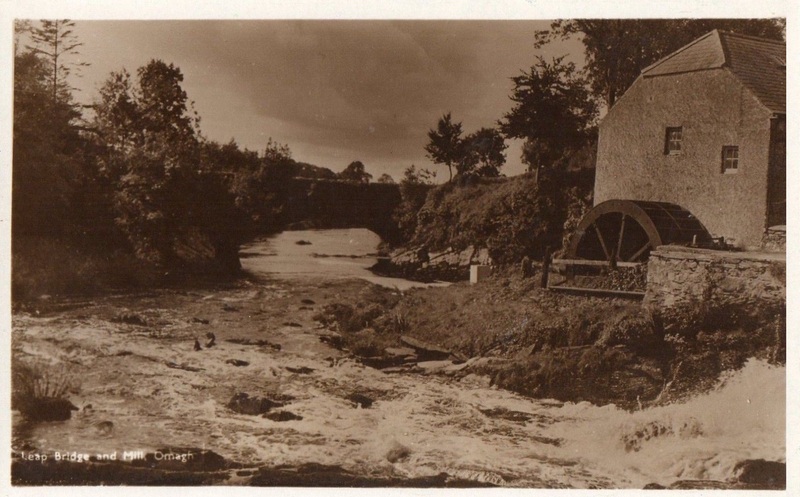 6 The Quarries, Lisnaskea – SP Co.
Shipquay Gate, Londonerry – unnumbered. 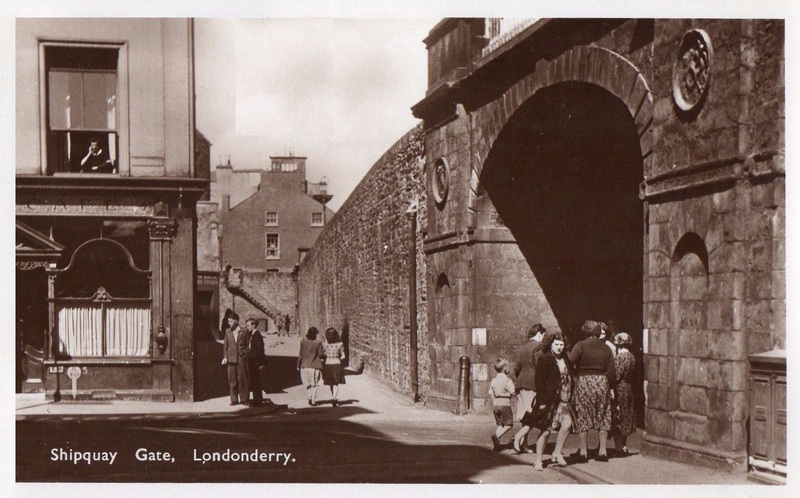 4047 Apprentice Boys Memorial Hall, Londonderry. 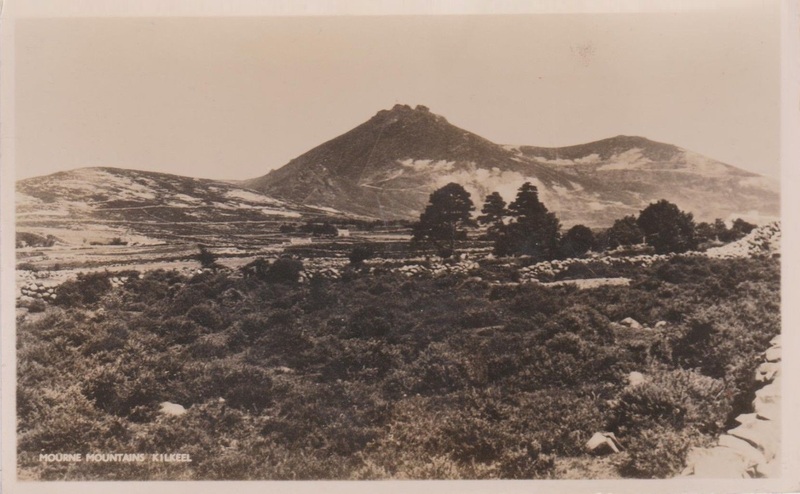 SP Co.
Unnumbered Multiview – SP Co. postally used 1942. 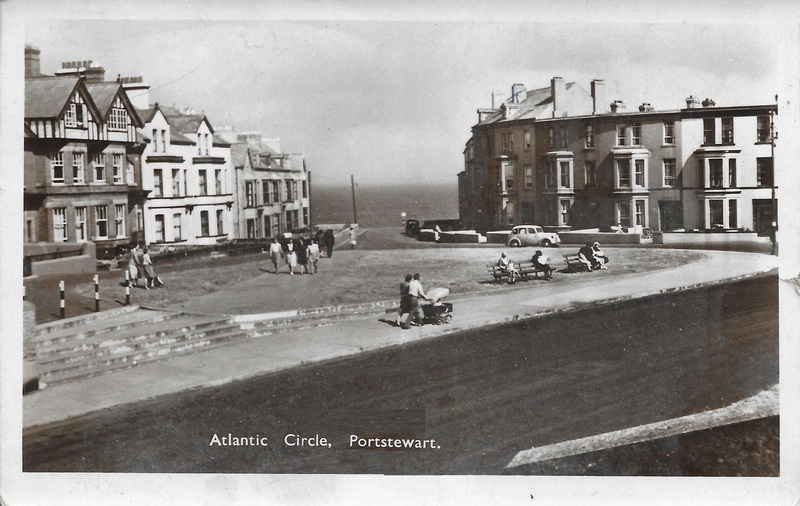 Atlantic Circle, Portstewart – unnumbered.